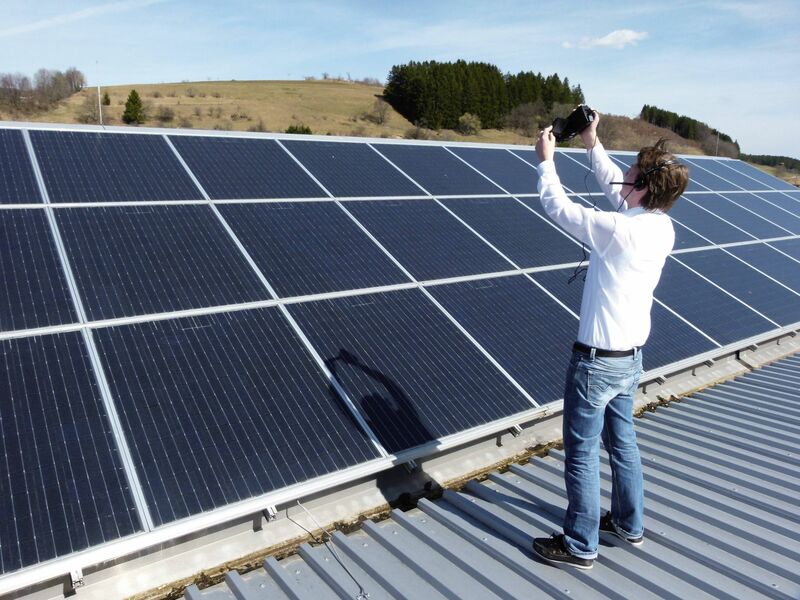 As a company operating in the air conditioning and environmental measuring technology sector, the sustainable use of resources is an integral part of Testo's self-image. In addition to developing and producing measuring instruments which protect our environment and health, we are therefore committed to greater sustainability and an economical use of resources – from the way our employees get to work through to the development and production of our measuring instruments. 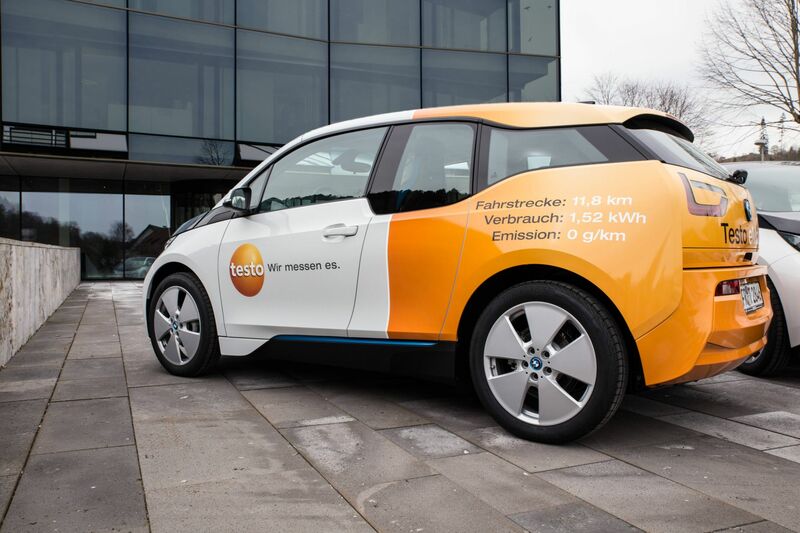 Four electric cars have been added to Testo's corporate fleet. They are above all used for journeys between sites, because these make up 70% of the fleet's journeys. There are enough charging stations at each of the two sites to enable the cars to be charged up either in Titisee or Lenzkirch. The number of sockets is also designed to allow employees with their own electric cars to charge them up inexpensively. The new site in Titisee was deliberately selected to be close to the local railway station. This makes it easy for commuters from Freiburg and the surrounding area to use local public transport. Testo provides shuttle vehicles to facilitate transport for employees from Titisee railway station to the site in Lenzkirch. We have already been awarded Freiburg's eco-traffic label on two occasions (2012 and 2013) for this. Testo reduces energy and fuel consumption for heating and cooling its buildings through modern heating concepts and usage which is tailored to needs. The new building at the Titisee site was designed according to the “Green Buildings” principle, so as to waste as little energy as possible and to ensure as little pollution of nature in the surrounding area as possible. Methods of heating the building in winter include building substance activation, enabling a constant ambient temperature and avoiding any energy-intensive temperature peaks. The same system is used for cooling indoor areas in summer. In addition, night-time cooling supports a pleasant ambient temperature: ventilation flaps automatically open at night and remain open until the cool night air flowing in has ensured the right temperature. Testo is gradually converting its computer centres to new air conditioning technology. Up to 120 tonnes of CO2 can be saved each year after modernization. We would like our measuring instruments to be capable of long-term use, and we therefore focus on stability and high quality in development. However, if there is still something that does not work, we provide a comprehensive repair service and so contribute to the sustainability of our products.